Flipping Houses | Learn How to Flip a House and Earn Money NOW! In the simplest of terms, the definition of home flipping is when an investor buys a property and resells it for a profit within a short period of time. This can happen in one of two scenarios, either through wholesaling or rehabbing or remodeling. When an investor puts a discounted property under a purchase contract then assigns or resells that property to another for more than his contracted price, it is known as wholesaling. The investor does not actually buy the property but rather transfers his or her interest in buying the property. To complete this type of property flip, an investor must first locate a property that is being sold below market. Typically it will require finding a private sale or one that is not being marketed publicly. 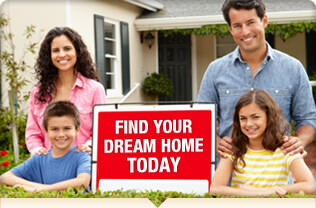 They also have a network of investors who are searching for non-MLS properties. The transaction is completed by either assigning his right to purchase (a clause must be in the purchase agreement or on an addendum) or the wholesaler completes a double closing. He would close first with the seller and then immediately thereafter with his buyer. This is perhaps the most common way to flip a house. An investor will search for discounted properties, including bank foreclosures (REO), short sales, abandoned properties, motivated sellers or otherwise distressed bargain homes which he or she can buy at below market value. The investor or a hired contractor will then complete any repairs or remodeling that is required to create a saleable property which can then be sold at market value. The profit is the difference between the sales price and the purchase price less the cost for the repairs. Wholesaling is a much cheaper way to flip a house as it requires a minimum investment, but it is a technical transaction that can quickly catch you between a rock and a hard place if not handled properly. The return on this type of investment is smaller than many other real estate investments, but that is generally offset by the ability to quickly complete multiple transactions in a short period of time. Rehabbing requires both a knowledge of the real estate market and some experience in construction or renovation. This is especially so if you plan to do the remodeling yourself. Time is of the essence here and the quicker a property is flipped, the quicker the investment is recouped. A profit is made through wholesaling by finding properties that are being sold below market. The wholesaler puts the property under contract and then transfers or assigns the contract to their buyer for a slightly higher price. The wholesaler keeps the difference which can amount to a few hundred to a several thousand dollars per transaction. For those interested in rehabbing or remodeling homes to resale, the key is to not only find a discounted property, but to also calculate the costs of remodeling, holding and reselling the property. It is not uncommon to see earnings of $10,000, $20,000 or even $50,000 off a rehabbed flip property. Both of these methods can be profitable in a market where property values are increasing and there is a demand for property. But you may wonder, how am I to get started flipping houses? As a wholesaler, you will need to first assemble a list of buyers or investors who are looking for cheap real estate. Next, you need to know where to look to find the best bargain homes. Another step to help a wholesaler succeed is to find a title or escrow company that is willing to work with you on either assigning the contract or completing a double close. To start buying and flipping houses that needs remodeling, an investor will need to typically arrange for financing. This can be conventional financing, short term loans, HELOCs, partnerships or through hard money. The investor will also need a team to complete the renovation work. Creating a good working relationship with a real estate agent also helps in making the resale of the property successful and quick. For both methods, it helps to create a business plan for flipping houses. This plan should establish financial guidelines, profitability targets and systems for meeting resale timelines.